Do you want to be healthy, functionally fit and happy in the coming years? Do you find it a challenge to stay physically fit? Is it hard to find motivation to hit the gym? There is good news. You do not have to take this journey alone. What you need is a qualified personal trainer; someone that has your best interest at heart and will make your goals their goals. Here are top reasons to work out with a personal trainer. As it is mentioned getting motivated and staying motivated is not an easy thing to do. A personal trainer will help you stay motivated throughout the exercise program. A trainer will offer structure and do the thinking, while you focus on the doing. A trainer will guide you from start to finish. Each exercise session will give you the chance to review and revise, as you have someone that is highly knowledgeable and experienced by your side. You cannot not show up for your training sessions when you know there is someone waiting for you. A personal trainer will make you accountable, and you will show up even when you feel the need to go back to sleep. Accountability is imperative in an exercise program. For example, if you were training on your own, you can show up or not whenever you please. This is not the case when following a structured exercise program. It will only work, if you show up for your sessions. And your trainer will ensure you do. A personal trainer will show you life-long skills, which will serve you well long after your exercise program, has ended. A trainer has the right knowledge, guidance, resources and skills to pass onto you. It is a do it yourself approach that will help you master all of these elements by the time the program ends. Be guided and trained, and see yourself becoming a trainer unto yourself. Learn effective and proper techniques from your personal trainer. 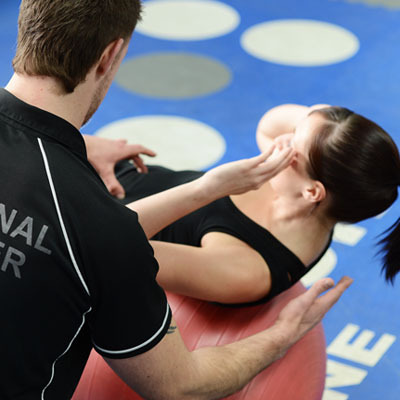 A trainer knows the exact techniques and skills require doing certain exercises and will offer you insight, to ensure you minimize risk of injury. A trainer is knowledgeable and will help you improve exercise execution so that you use the proper technique not just during the session, but for years to come after the training ends. This is invaluable knowledge learned for a lifetime. Trainers have that extra edge required to make exercises fun and interesting. Your sessions will include a touch of fun and excitement as monotonous routines can get boring and uninteresting. Generally, training sessions last months and there should be a touch of excitement for you to wake up and be motivated enough to go. A personal trainer is a great resource providing inside information on not just exercise and skills, but also nutrition advice. It is also like having a companion by your side as you train, someone that is your confidant, motivator, encourager and friend!